Three propane tanks were on fire, officials said. 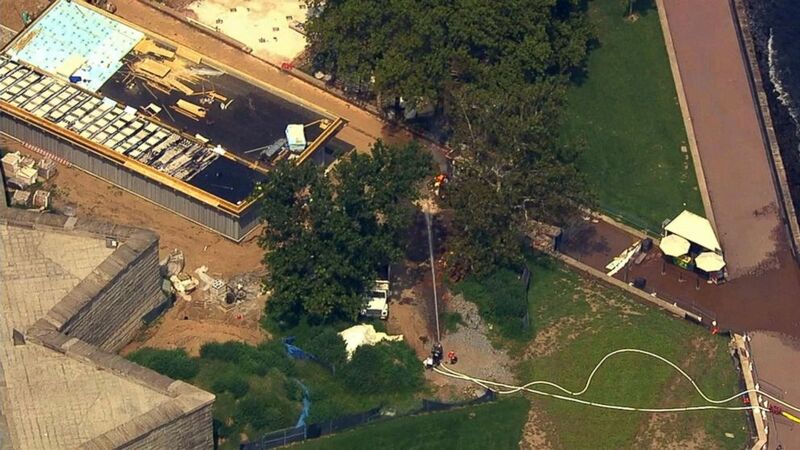 Liberty Island and the Statue of Liberty were evacuated Monday after an apparent construction mishap sparked a fire in propane tanks there, according to the National Parks Service. Three propane tanks were on fire, officials said, and the blaze has since been extinguished. (WABC) The Statue of Liberty was evacuated after a small fire in propane tanks on Liberty Island in New York, Aug. 27, 2018. 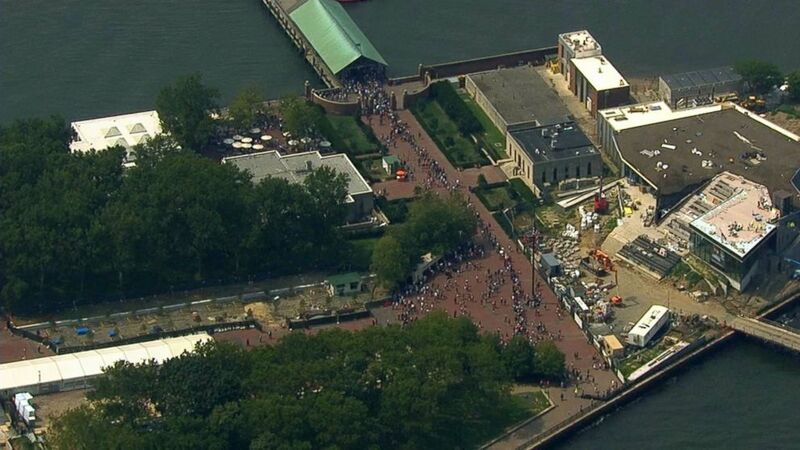 The fire prompted the National Parks Service to evacuate all 3,400 people from Liberty Island. 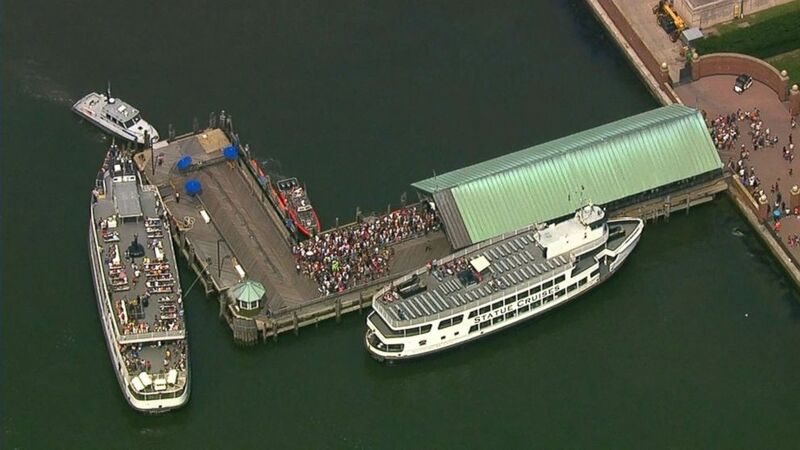 Boats moved people from Liberty Island to the nearby Ellis Island, Roger Sakowich, the FDNY's Manhattan borough commander, told reporters. Each boat holds between 500 and 1,200 people, he said. 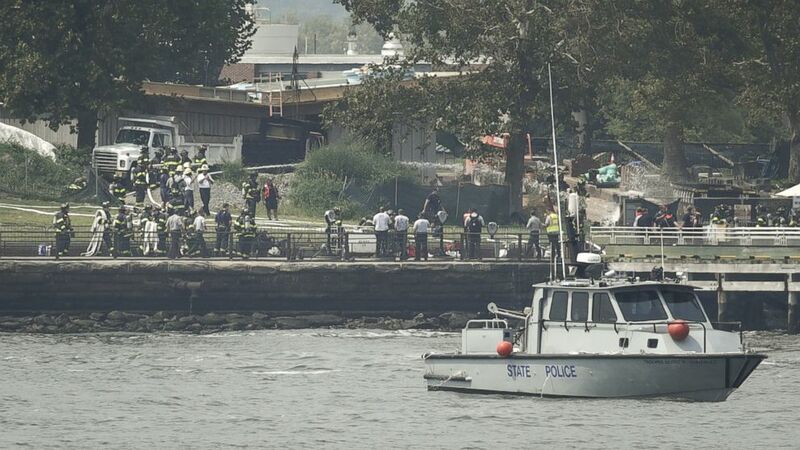 (Drew Angerer/Getty Images) Firefighters work the scene on Liberty Island after several propane tanks caught fire near the Statue of Liberty, Aug. 27, 2018 in New York. 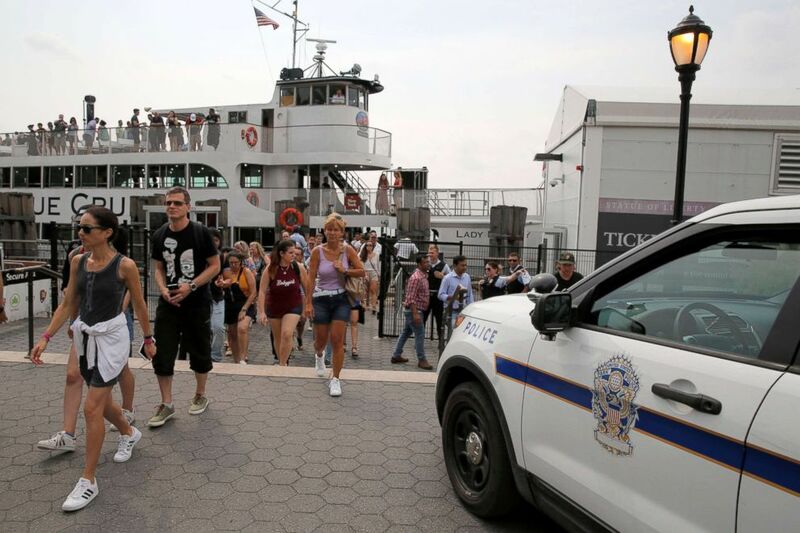 (Andrew Kelly/Reuters) A police vehicle is parked by a ferry of people being evacuated after a fire broke out near the Statue of Liberty on Liberty Island in New York, Aug. 27, 2018. The Statue of Liberty reopened mid-afternoon and operations to and from Liberty Island resumed. 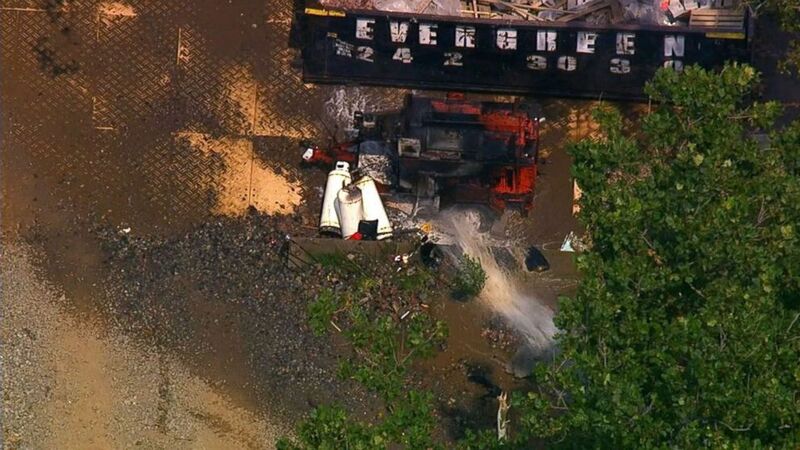 One worker suffered a non-life-threatening injury from the incident, officials said.